This artist's concept illustrates a solar system that is a much younger version of our own. Dusty disks, like the one shown here circling the star, are thought to be the breeding grounds of planets, including rocky ones like Earth. 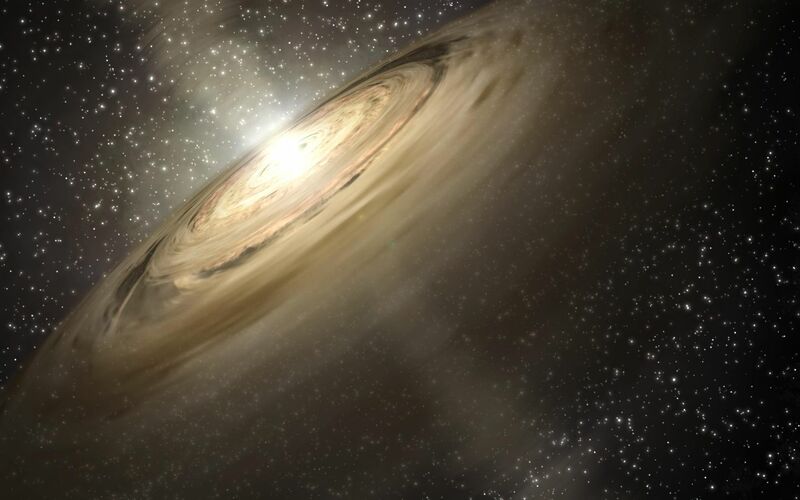 Astronomers using NASA's Spitzer Space Telescope spotted some of the raw ingredients for DNA and protein in one such disk belonging to a star called IRS 46. 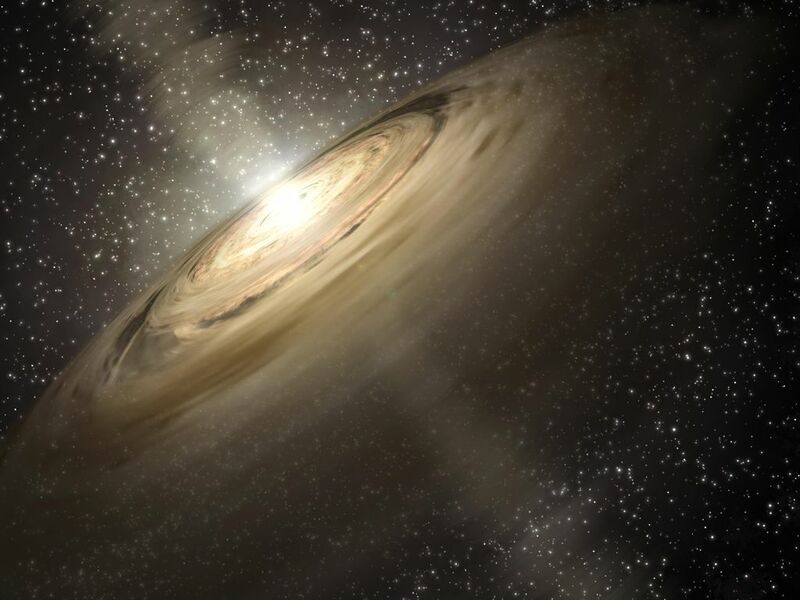 The ingredients, gaseous precursors to DNA and protein called acetylene and hydrogen cyanide, were detected in the star's inner disk, the region where scientists believe Earth-like planets would be most likely to form.